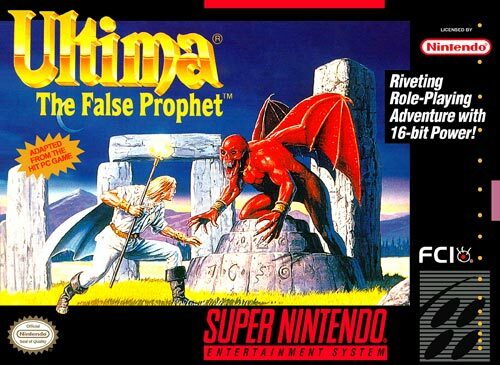 Ultima: The False Prophet for Super Nintendo has you search for hidden runes while defending the countryside from hordes of monsters. 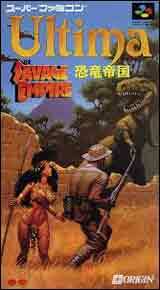 Classic characters like Shamino, Iolo, and Duprй star in this epic chapter in the popular role-playing series. Real-time allows you to journey through the night and into the wee hours of morning, completing different missions and uncovering hundreds of important objects. 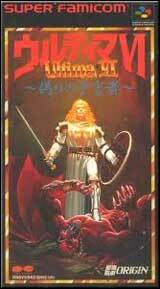 There are dozens of unique characters that hold the clues necessary to defeat the gargoyles and eight magical levels ensure hundreds of hours of gameplay.